The Foundation for Global Scholars is a 501 (c)3 nonprofit organization located in Westminster, CO, serving U.S. undergraduate and graduate students pursuing accredited study abroad programs. Through scholarships for international study, we empower future leaders to become better prepared for the fast-changing global marketplace and interdependent world. 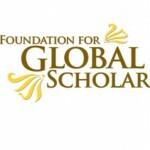 The Foundation for Global Scholars is an independent scholarship provider. Students from any U.S. or Canadian college or university may apply for scholarship assistance. In this way, we are different from almost all other scholarship providers and offer flexibility to individual students with individual purposes. Our goal is to empower the future global workforce through life-changing international learning programs, and to open doors for as many students as possible, so we strive to maintain an application process that is both technologically efficient and user-friendly. Students are required to document and share their learning, allowing the Foundation to build a knowledge base accessible to others. Over 200 scholarships between $1000 and $2,500 will be awarded this calendar year for U.S. and Canadian citizens. Award amounts will vary. Most awards are $1000. All decisions regarding scholarship awards are those of the Foundation and are final. If awarded a scholarship, you will have one year from the date of your award email to provide the necessary confirmation of participation (and other requested information) to collect your scholarship check from the Foundation. At the time of applying for any of the Foundation scholarships, you must be enrolled in a US college or university where transfer credit from an academic program abroad will be applied to your US degree being earned.